It looks lovely and sounds very practical for your needs. It really was the best choice for us, and I think the one where we’ll be happiest too. It may be the exhaustion of getting home from Argentina, but I’m teared up right now. I’M SO EXCITED TO HAVE YOU RIGHT UP THE ROAD!!! What an awesome way to start my day! And BTW, Argentina was amazing, simply amazing. OK, first: Argentina is amazing. Buenos Aires was the first city we visited and it’s remained in our top three favorite cities. We’re hoping to go back again! 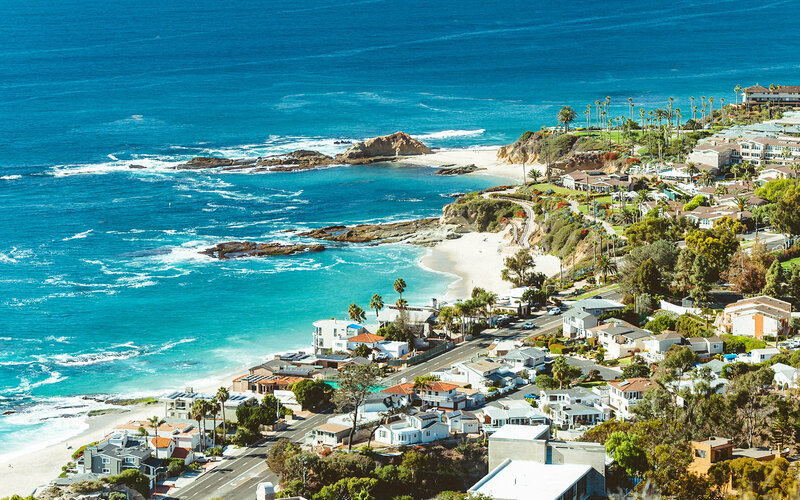 One of the primary reasons we decided on San Clemente/Dana Point/Laguna Beach (we’d live in any one of them but prefer San Clemente) was that you would be so close by and we could see you more than every other year! I will keep you updated with dates, etc. but it looks like we will be arriving in early December. I am really looking forward to being able to pop up to see you, or have you come down. How crazy will that be?! I’m curious where in Recoleta you stayed? We were in an AirBnB just off one of the main streets, which was fine if we walked the other way to find a market and restaurants, etc. We all preferred San Telmo and Palermo Soho, but we ended up in really great areas there as well. I will definitely be going back! San Clemente sounds lovely. I have fond memories of Laguna Beach as a side trip when I was in SoCal on business a few years back. You really can’t beat the weather in that area. And, while we love N. Arizona, every time we visit we discuss whether we would move here. We’ve concluded we would rather visit. While the winter seems long in the Midwest in Jan & Feb,the other seasons are quite lovely, and we enjoy them all. And we, too, like being near water. I have so many good memories of San Clemente from my childhood. I know it’s changed, and so have I, but I know it will be a great place for us to live for many reasons. We almost went with Northern Arizona, but there were too many issues for us with cars, houses, etc. Plus, we wanted to live closer to where we knew people. We can always visit Northern Arizona. It is beautiful there, and I know we’ll love the relaxed California lifestyle. I know you said you weren’t going to blog this week but I thought “I’ll go check and see if maybe she posted something”. I’m so glad I did!! Yay for deciding on what you’ll do at the end of this year of travel! (Especially since it was causing/adding to your insomnia) San Clemente sounds like a perfect choice. I’ve never been to that part of the country but it seems to tick all of your boxes. I have visited Sedona and I absolutely loved it. That was a long time ago and I’m sure it has changed dramatically. I’d love to go back at some point to visit. Have a wonderful time in Zurich. And Strasbourg – I hope you get the chance to go. If you know you’re going for sure, shoot me a comment (on any post) and I can tell you some great places to visit as well as eat. Both Brett and I are feeling happy and relieved right now – we know where we’re going next! Now we can start getting a plan worked out, dates set, and so forth. I think it’s going to be a great landing place for us. Great choice. I think it will work out the best for ease of future travels for both you and your family. Congratulations. We’ve already been talking with the girls about it and they seem happy with the decision as does Brett’s sister and husband (they come out to LA and San Diego frequently) and other friends. I agree – we knew we had to be somewhere where we could live the way we want, like without a car. And I wanted to be near the ocean – I spent a lot of time near it growing up (in San Clemente), and living in Hawai’i was a dream come true for me, so this ticks off those boxes. Plus, the good weather means we’ll be outside more and get more exercise. We will be living small, and the budget will be tight, for the first couple of years, until we get our daughter through college. But we both feel it will be worth it. Love San Clemente. If you can afford it, than that would be a first choice for me as well. Oh, I love to be next to the beach. I wonder about nine month rentals in that area (with Air Bnb for the summer). We plan to rent a small apartment to start, maybe even a studio. One unexpected benefit of our travels has been learning to live in small spaces, and we’ve discovered we like it. Plus, the house we rented on Kaua’i was less than 800 sq. feet, and four of us did fine in that space, so Brett and I know we can easily manage 500-600 sq. feet, or maybe even a bit smaller if we have to. Housing is expensive, but there are places that fit our budget. Mazel Tov! Your decision makes sense. It’s also an easier flight out of California for Kauai! Our weather remains chillier than usual and much drier. I think you’d be happier than those hot days of humidity you tolerated here. What an exciting year you’ve had and it will be fun to continue following your travels. Oh Joy, I miss Kaua’i so much! But, with the girls all on the mainland (and all three back east for a while) this gives us our ocean and good weather without having to worry about the long, expensive flights over. And, very little humidity, the main reason we’re not heading back east (well, that and those winters!). I can’t wait to get back to Kaua’i though. Hope you and L are doing well! It sounds like it ticks all the boxes for you. So good that you’ll be able to get around without a car. Although we had a car the two years we lived in Seattle, we didn’t drive much, relying on the bus, light rail and mostly our two feet (had rainsuits, although the two years we were there were pretty dry). Wish we lived in town that had better public transportation and walking. Learning more about the trolleys is what really sold the area in the end. Plus, our DIL told us she has a friend that lives and works in LA without a car and uses Uber to go to and from work, etc. and it still costs less than owning a car! Once we put those two pieces of information together San Clemente went to the top of the list. We came to hate having to get in the car to do anything when we lived on Kaua’i, and vowed that wherever we settled would be walkable. I’m not sure if you’re aware, but the trolley system now extends through San Clemente, SJC, Dana Point and Laguna. And there are free things to do all the time here, truly. Plus, opportunities to volunteer and thus attend free events at many local places. And $5 Happy Hour events everywhere, and . . . OK, I’ll stop now! We are very excited! In the end, it was the trolley system that put San Clemente at the top. For now it looks like we will come back to Portland at the end of November, take a couple of days to get grounded, then pick up our things and head south. By the way, we are open to not only San Clemente, but Dana Point and Laguna Beach -wherever we can find an affordable rental (Dana Point seems to have the most right now). I will be in touch soon – I am loving all your travel photos – SE Asia has moved to the top of my bucket list! Congratulations! There is a sense of relief once a decision is made and the limbo stops. The photo is stunning. Hope you find the perfect place…and with ocean views! San Clemente and that whole area is, really. I think it’s going to be a good place for us. I’m not sure about having a place with a view (extra $$$$, just like in Hawai’i), but as long as we can easily get down to the water I’ll be happy. I think it’s going to be a good fit for us as well. The first couple of years will be lean as we help YaYu, but once we’re through that we’ll be able to enjoy it all even more. And, I would love to get together if you’re ever down that way! I have so, SO much enjoyed following along on your travels!! I admire your thought process of where you will now settle down. I’ll continue to follow along on your journeys!